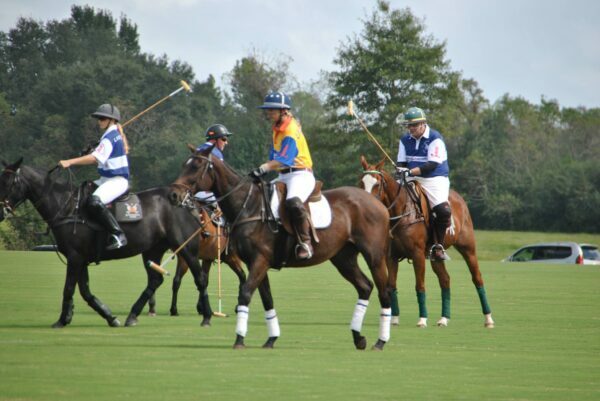 Harvest Cup Polo Classic is hosted by the Junior League of Greater Covington each fall to raise funds for the league’s community projects. You may already be planning to attend (if you aren’t you can get tickets here), but you may be wondering what are you going to see, eat and experience? I am here to tell you! **Update** The Silent Auction is live and you do not need to be present to bid or win. Check it out here. 2018 marks the 22nd year of the JLGC hosting the Harvest Cup Polo. 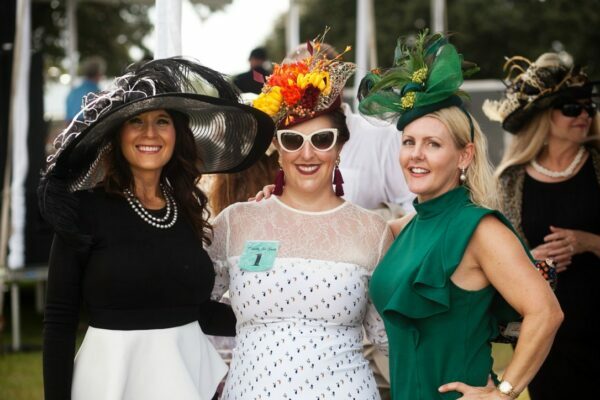 Each year around 1,200 attendees descend on Summergrove Farms in Folsom to partake in polo games, hat contests, live and silent auctions, and more. 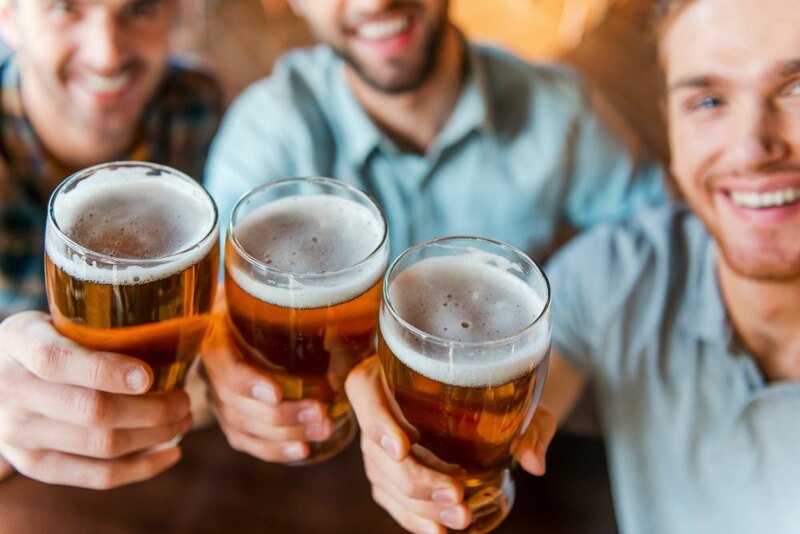 This event is the primary fundraiser for the Junior League of Greater Covington and allows them to conduct events like Project Homecoming, Project Prom, Girls Health Day and more. The 22nd annual Harvest Cup Polo Classic will be held on Sunday, October 21, 2018! Gates open at 10:30 a.m. and tickets are available now! Our rain date is October 28, 2018. 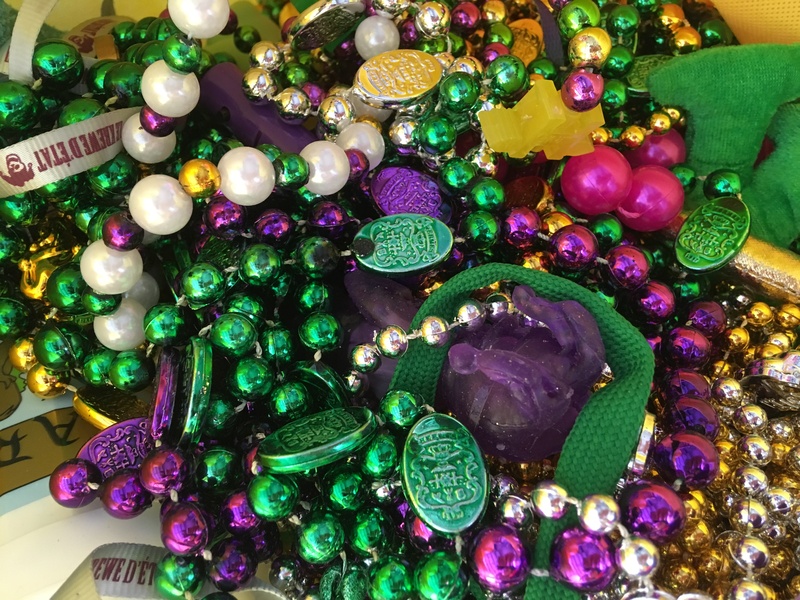 Featuring a jazz brunch, Polo with a Purpose grant winner, Rolex raffle, hat contest, bourbon tasting, food and drinks, live artist, Four Unplugged and so much more! What the Heck Happens in Polo? Haven’t ever been to a polo match before? No problem. I am going to give you a quick little synopsis of the game but if you want to learn more this is a wonderful website to explore. Known as “the sport for Kings,” polo is exciting and spectacular to see. 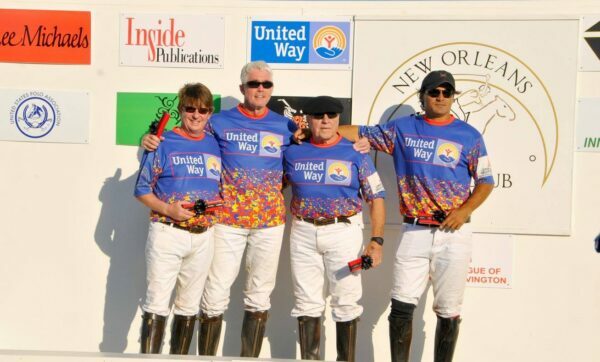 Polo is a horseback mounted team sport and one of the world’s oldest team sports. The game is simple in the fact that players mounted on horses try to score goals by hitting a small ball with a long handled wooden mallet through the opposing teams goal. This game is fast and furious and the amazing part comes in when you see they are doing all of this while riding full speed on their horse. A polo field is 300 yards long making it the equivalent of three football fields in length. Players will use multiple horses in a single game because of the length of the field and to not exhaust the horses. The game is divided into quarters which are called Chukkers and they are 7 minutes each. 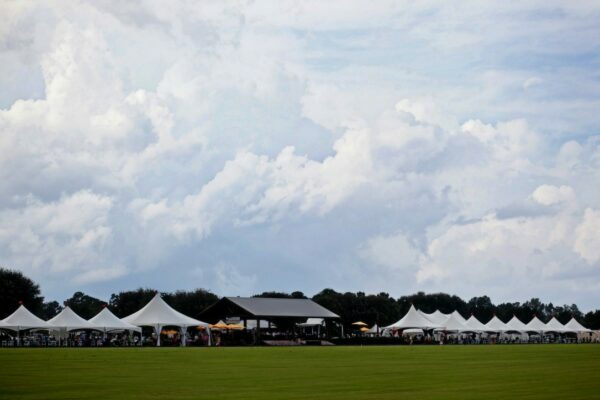 At Harvest Cup Polo Classic there are four teams and 3 games of polo will be played. 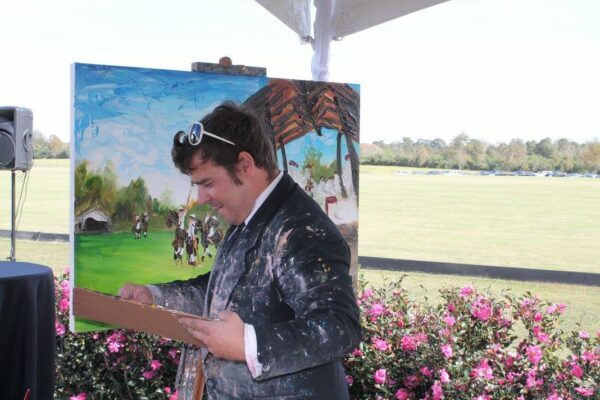 Live and Silent auctions are available at Harvest Cup Polo Classic with a variety of items ranging from Live Paintings from the event to private bourbon tastings at your home to jewelry and more. 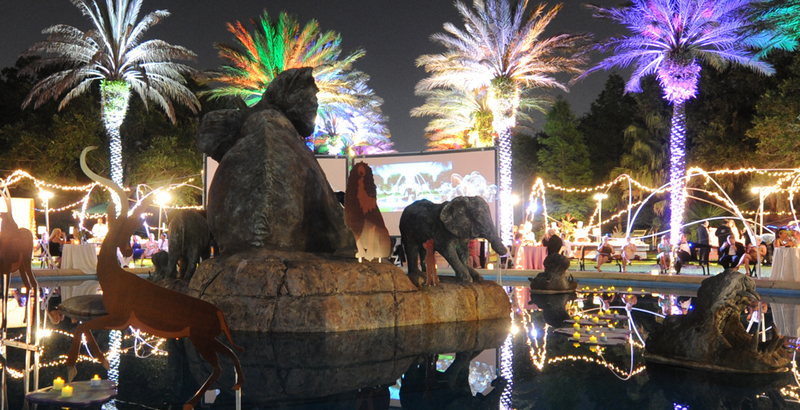 Some of the special items that will be available in this year’s Live Auction are a private in home bourbon tasting with New Orleans Bourbon Festival, Denise Hopkins Fine Art Live Painting, Swine Krewe Pig Roast at your home, 3 night stay at Romar Beach and more. The Silent Auction is even more exciting because you do not have to be present to bid and to win. The league started using an online auction service several years ago that allows you to bid from your phone. Not only does this make the auction available to people who can’t attend but if you are in attendance you don’t have to keep checking back at the tent to bid. This service will send you a text when you have been out bid or when you win your item and it allows you to pay from your phone. This opens on October 6th so get ready for that!! You can register and view the auction here. Each year one of the most fun parts of the day is the Pretty Lady Hat Contest. You can enter if you wear a hat you have made or purchased one. It doesn’t matter if it is big or small. Everyone is welcome to participate! 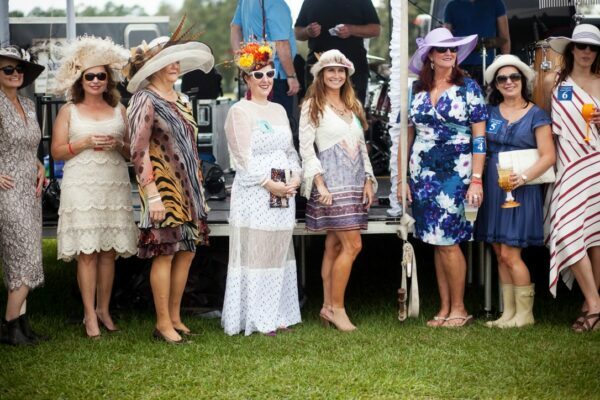 When you check into the main gates at Polo you can ask for details on how to enter the Pretty Lady Hat Contest. 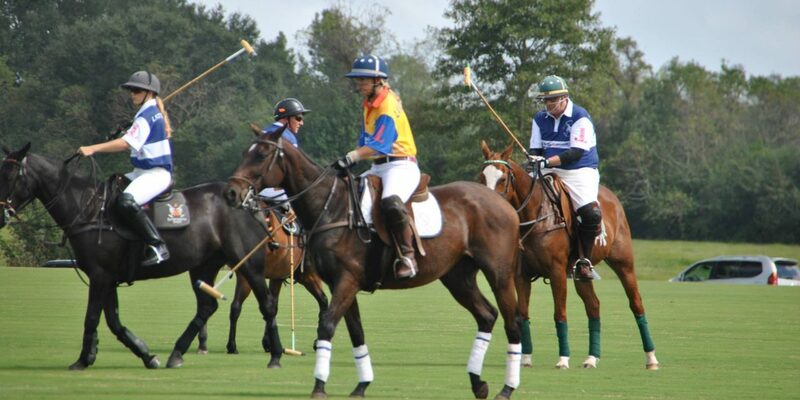 This is your opportunity to get involved with the Polo match and have some fun on the field. . . and snap a picture or two! At 1:00pm SHARP the divot stomp will happen before the featured match. Guests are allowed to enter the polo field and stomp the divots back into the ground that have been torn up because of the horses. 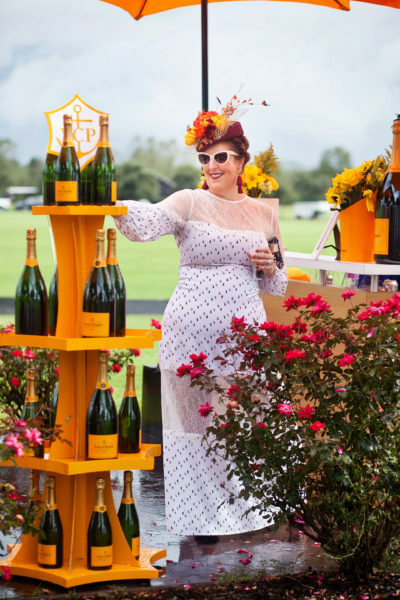 Veuve Cliquot Champagne Bar. 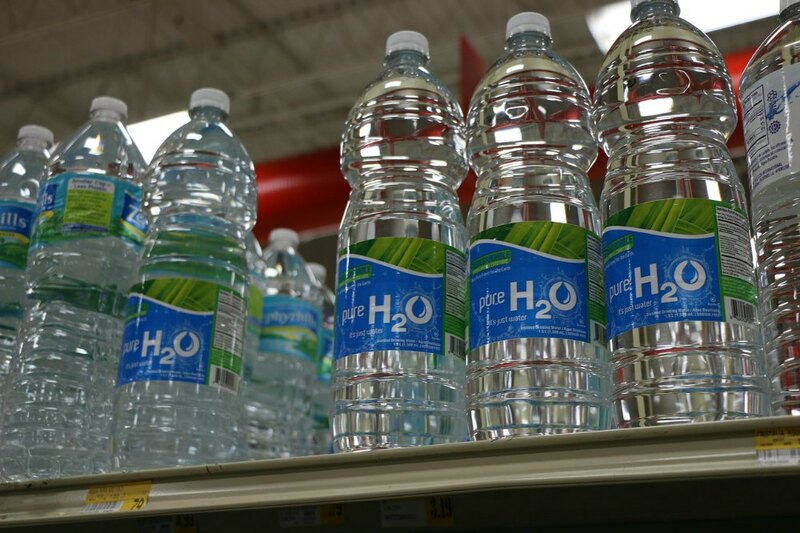 You can purchase bottles of champagne to drink with your friends or take home for a special occasion! You will not be able to miss the big yellow bar in the midst of all the white tents. As they say, follow the yellow brick road! Lee Michael’s Rolex Raffle. How would it feel to leave polo with your own Rolex?!? Enter for a chance to win a beautiful new Rolex watch. 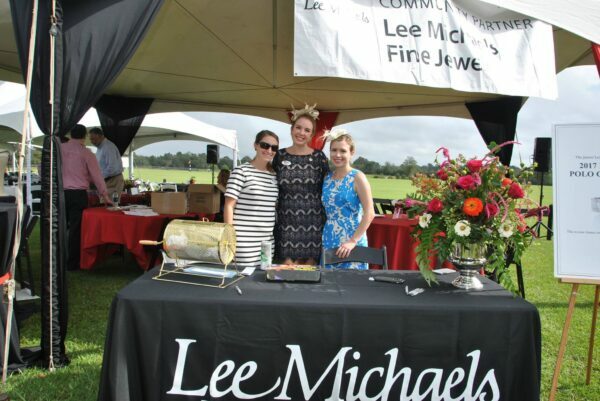 We hope you will join us at polo this year and support the great activities the Junior League does in our community. If you aren’t able to be there, please consider checking out the silent auction online.